I met with my surgeon the end of August, prior to a European vacation I had planned for September. I knew I was headed for surgery, but when the surgeon actually discussed it with me, and I had a date set in October, it became reality. From that moment, and over the next week or so, I was on an emotional roller coaster. I was snappy, cried at times, and even looked pissed off. This was not me at all. I tried to go with the flow and observe these emotions so I might understand them better, but I seemed to be getting angrier about the whole thing. When I finally realized how angry I was, I wondered if I was actually dealing with some sort of grief stage. About this same time, I shared my feelings with my dear friend Lisa. She mentioned I might still have some issues surfacing from the difficult surgery twenty years ago. That was it! It was one of those why didn’t I think of that moments. I was so stuck in the emotion that I hadn’t quite worked it out yet. I was close with the grieving thing, but Lisa certainly made it clear to me. "I get it and I feel it. I think your emotions are going to feel tender for a while AND there may be a tendency for some anger to pop up in weird places. This whole process is demanding that you actively "process" all the emotional patterns that are and were caught up with the past surgery, all that led to it and all that's followed. It's SO much!!! You've got this though." Twenty years ago I had been ill for months. So the whole period prior to that surgery, the surgery itself, the hospital stay, and the recovery was a nightmare of sorts. Even though I knew my overall health was better this time around, and all the stuff you tell yourself, I didn’t realize I had excess baggage surfacing. I knew I needed to take control of what I was feeling and process this as soon as possible. I normally travel light, as in one bag, and didn’t want this excess baggage following me to Europe. Now, all I needed to do was to get in touch with my younger self of 20 years ago, let her unload and make sure she knows everything will be okay. This was so incredibly simple. Again, why didn’t I think of that? I decided to meditate on the subject and have a conversation with myself. I allowed me of 20 years ago to unleash emotions, cry, and be angry. Ah, that’s where the anger was coming from! I then told her how this was not the same thing as last time because I am in better health physically and mentally, I am knowledgeable about Crohn’s disease, I understand fully what is going on and what I need to do, but most importantly that I’ve got this. While I had been telling myself this all along, my younger self obviously wasn’t listening because she hadn’t had time enough to grieve and unload her feelings years ago. She clearly wanted her say! Getting on the other side of my emotions was the best thing I could do for me. The heavy veil of anger slowly passed as I continued to process the issues. I then gave my younger self a big hug as the anger melted away and we were once again in sync. I was finally unstuck and it took me less than an hour. Halleluiah! 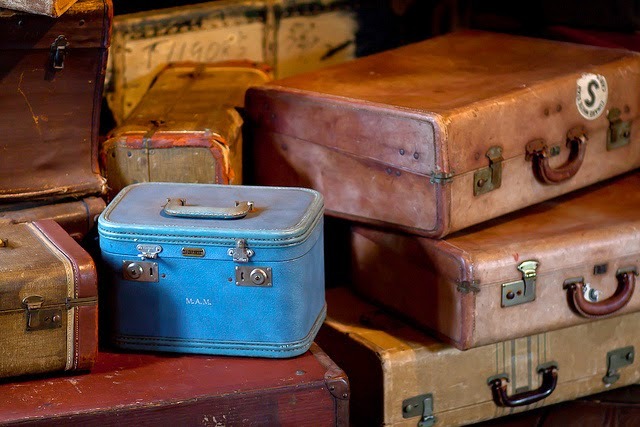 Now I could fully enjoy my travels to Europe without the unwanted baggage, and approach my surgical date with a full sense of strength and peace. If a holistic and integrative approach to your sense of well-being sounds helpful to you, contact Lisa McDavid, CCHT at the hyperlink noted.